Well you know when it comes to big superhero comics crossover, it’s easy to be cynical & look at them as nothing more than cash-grabs i.e. a gimmick to lure completist fans to buy every comic ‘associated’ with the main event storyline. Well, strictly speaking, the issues focusing on Batman, Superman and the Flash do not occur within the current continuity of the regular titles so, one might argue that these one-shots do not qualify as cynical cash-grabs but a genuine attempt to explore the implications of Darkseid’s death. 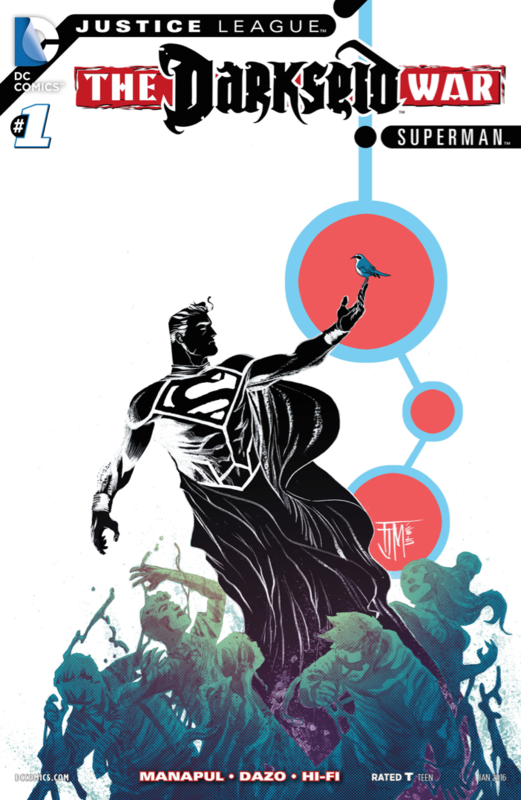 The Superman issue spends some time in demonstrating how becoming the God of Strength has altered his personality or perhaps it has merely removed previously existing constraints. So Supes is arrogant, cold and living to his alien persona, despite Jimmy Olsen’s attempts to help him. In the end, Supes saves the day but only because (in his mind) he could & not out of any altruistic reasons. 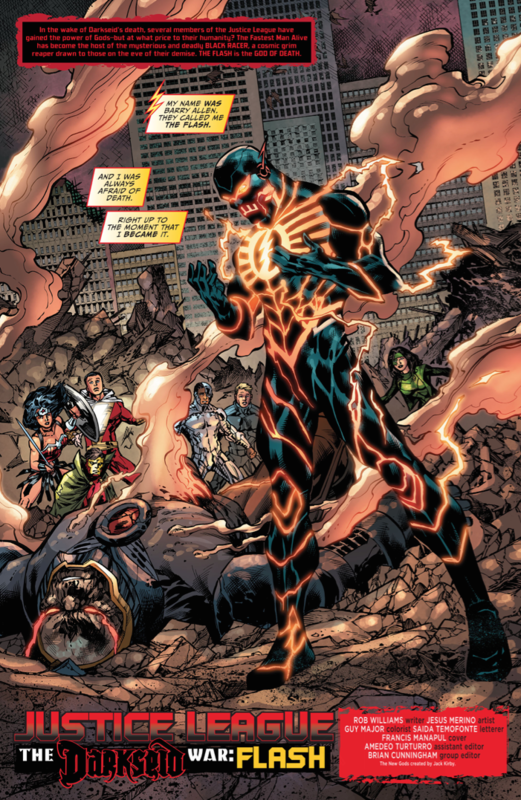 The Flash issue actually takes place between the micro-seconds of Flash becoming the Black Racer, rejecting this very fact and ultimately accepting his fate. 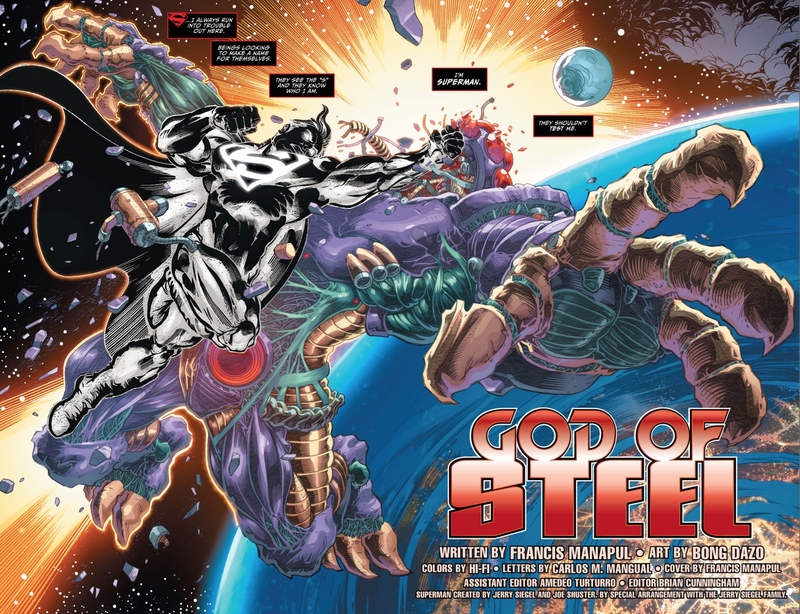 Granted, that is a rather creative way to tell a story but the process is sentimental and trite, the message being that Death is inescapable and the Flash becoming the Black Racer (Jack Kirby’s embodiment of Death in the New Gods series) is an inevitability. A pointless and boring exercise! So a thoroughly mixed bag after the promise of the Batman issue – one is more interested in what happens in the next issue of Justice League. Yes I know everything will go back to ‘normal’ – it’s a superhero comic book after all but hopefully DC will make getting there at least intriguing.